Eipix Entertainment proudly presents the next chilling installment of Phantasmat! 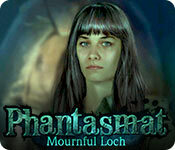 Phantasmat: Mournful Loch is rated 3.7 out of 5 by 11. 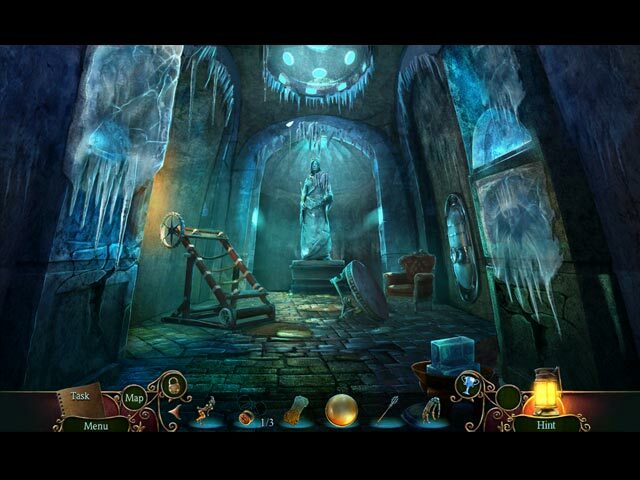 Rated 5 out of 5 by CourageAngel from Uncover the Secret of the Curse You go searching for an artifact, only to have the guy rowing the boat disappear. Shortly after, you're in the water and later washed up near the Logan family's castle. From there, it's obvious that things have taken a dark turn. Can you learn the truth and escape, or will you join the dead? I completed this game in a couple hours, so it isn't too long. The map (3 pages) is useful when you want to move around quickly. The visuals and sound are lovely. The story is enjoyable. I had a few moments when I jumped, so I can give it a spook factor. I think they made it a bit predictable about what may happen or what led to the massacre. And that's before they actually admit it. Even so, it didn't take anything away from the game. I thought it was fun. Rated 5 out of 5 by SparkleGlow100 from Once you get INTO the CASTLE, this game becomes MUCH more interesting! Review based on completed game. I had a lot of fun playing this game! There's no slump after the demo, the good stuff just keeps coming. There are many passages and rooms to explore in this once solidly built, cavernous castle, that's now cracking in places. Lots of rocks and lichen in general. You are able to roam freely to all scenes throughout the game. Overall the graphics are less finitely detailed, but the composition of each scene is pleasing, well- constructed and spacious. Lots of natural colors with seaweed green to convey the dark, the rock and the general "moody-gloom" of the place. The HOPS were ok, One or two were particularly nice to play, but there are loads of puzzles. I'd tried to play this game before, but had always lost interest. I decided to try once more, and what a good job I did!! 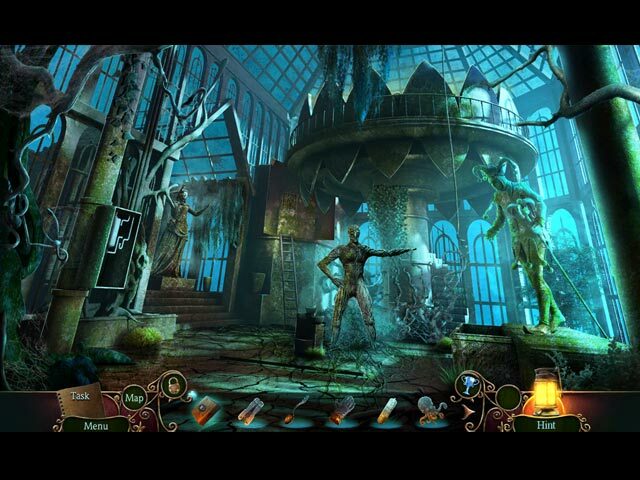 Also, in this Phantasmat, I found there was nothing I had to skip (to avoid feeling uncomfortable) and the general feel of the game was a supernatural-fantasy game rather than horror. Rated 5 out of 5 by robotics1 from Really enjoyed it! The story line was actually interesting for me; the HOS were good. I usually skip the puzzles as I can't be bothered with them; I want to get on with the game but some did get me engaged. I actually think this was the best game I have played. I didn't know there was a collectors edition; wish I had bought that instead. Rated 5 out of 5 by childofgod4 from Best game I've played in a long time. The graphics were great and the mini puzzles were good. Rated 5 out of 5 by pennmom36 from COULD IT BE THE LOCH NESS MONSTER? Logan's Castle is the Crown Jewel of Scotland, infamous for the Logan Family Massacre, and the evil entities left behind. He who dares to enter, will surely perish, after all, several have tried and failed to return! The entire Logan family was brutally murdered and their family artifact was stolen, an artifact so valuable, they were willing to sacrifice their lives. No one knows what became of the artifact, but if your suspicions are correct, it may be in the loch that surrounds the castle grounds. You're in too deep now however, and someone or something, doesn't want you to find the artifact, in fact, it seems they don't want you to live at all, or are you already dead? Phantasmat is my favorite series, and no other game has EVER been able to write a storyline as Phantastic as the original Phantasmat, period. One of the reasons I love this series is because the storylines are always really good, and original, and I never know if I'm alive, or dead! Mournful Loch isn't as good as as the last couple of games in the series, but this is a solid game from beginning to end. Another feature I love about this series is that I can always count on the Collector's Edition version to have Morphing Objects (and not just within the HOP's which most games have switched to) The Hidden Object Scenes are multi-layered with different types such as Interactive List Phinds, Silhouetted Shape Phinds, Sketch Phinds, Multiple Phinds, and even Morphing Object Phinds, one of my personal Phavorites. The Mini Games range from simple to complex, many of which are new or different versions. Below are brief descriptions of some of the games you'll encounter during the demo: 1) Press arrows to move the tiles and arrange them so they match the clue shown. 2) Use the knobs to move the sliders to select pairs that comprise each symbol. 3) Select tusks to repeat the sequence shown. 4) Drag the sliders to move and focus the telescope to find the required symbols. 5) Move the teeth to the correct color coded sides using skeletal hands to move and select two teeth at a time. 6) Set the symbols on the pillar so they match the clue shown. The Phantasmat Series: Phantasmat (11-11-11) Behind the Mask (12-17-15) Crucible Peak (12-6-12) Mournful Loch (4-13-17) Reign of Shadows (10-6-16) The Dread of Oakville (7-9-15) The Endless Night (1-10-15) Town of Lost Hope (4-7-16) The Collector's Edition has 15 replayable Hidden Object Scenes, 16 replayable Mini Games, 8 Concept Art pictures, 8 Wallpapers, 5 Music Soundtracks, a Souvenir Room, 11 replayable Videos, 12 Achievements to earn, 21 Morphing Objects, Collectibles, a built in Strategy Guide and a Bonus Chapter, enjoy! Rated 4 out of 5 by LunaNik from Ignore my CE review and read this one instead... Since there was a fantastic sale today, I decided to pick up the CE of this game, having been intrigued by the storyline. I retract nearly everything I said in my CE review after completing both main and bonus games. WHAT I LOVED STORYLINE — Excellent with a nicely paced exposition and a fully-developed backstory. Wandering around an abandoned, crumbling castle waiting for truly creepy ghosts to appear reminded me a bit of the movie 13 Ghosts. But just a bit; this is an original plot. CHARACTERS — I really appreciated the creativity that went into developing the ghost characters. Each one was suitably horrifying in a different way. When the queen appeared, I actually OMG'd out loud, she was so creepy. Really well done. GRAPHICS — Beautifully detailed with lots of texture and lighting effects. Every environment was immersive as if I was really there. The chambers in the castle struck the perfect balance between majesty and decrepitude. Animation was thoughtful and the jump scare was NOT overused, IMO. SOUND — To fully experience the impact of the music and sound effects, I recommend using earbuds or headphones. I heard TONS of things I missed without earbuds, and the environmental sounds and music really added to immersion. From now on, I'll be playing all games with headphones, and I recommend that you do too. It's a totally different experience. MINI-GAMES — Yes, the few in the demo are fairly easy. They become harder as the game progresses, for the most part. Here's a sample: • Move the rows and columns to arrange the tokens as shown. MEDIUM • Use the four sliders to move differently colored blockers around until the correct three symbols are revealed DIFFICULT • Rotate the central spoked wheel and slide two concentric rows of pieces into place correctly to restore the image. MEDIUM • Move the transparency around to match its sketches to the blank spots on the background image. MEDIUM • Place tokens with images in the correct spots on the globe, then move the ship from port to port, traveling each path only once. MEDIUM • Decipher the riddle to correctly place the Logan family members on the game board. MEDIUM • Swap and rotate several gears until a single path is formed across the device. DIFFICULT WHAT I LIKED HO SCENES — Definitely an improvement over the usual, with many items not in plain view. Presentations included all morphing objects (which I love), find and replace storybook, silhouettes, patterns to match, related pairs, matching pairs, and all of one type. WHAT WAS "MEH" PORTFOLIO — I would have liked a better choice of wallpapers and more music, personally. WHAT I DISLIKED BONUS CHAPTER — Really short and basic. I think it took me about 30 minutes to complete. That's not sufficient for a bonus chapter; it should be at least an hour. The plot was rushed and pretty shallow, and there were only a couple new scenes. THE LAST WORD My apologies to anyone who relied on my CE review, because I do now recommend this game for intermediate to expert players who love spine-tingling horror stories. No, it's not like the original Phantasmat. Just ignore that and consider it on its own. I really enjoyed playing it. Thanks, Eipix! Rated 4 out of 5 by Pilot1 from Och aye, it's a guid 'un! A familiar story and cast of evil characters, but with enough of a twist to keep things interesting. The opening teaser sequence is a little gory, but so much as to be over the top. 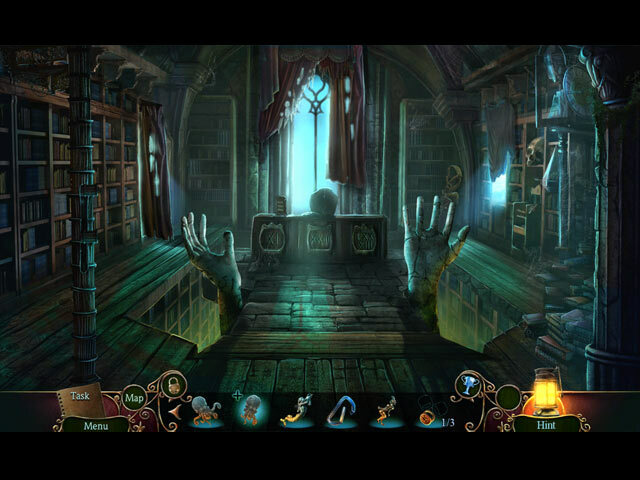 The graphics, sounds and voice-overs are excellent, as is usual with Eipix games. The interactive map is very useful as a travel time-saver and, although the game play most often makes movement logical, it's also useful for those moments when you're befuddled. The HO sequences and mini-puzzles are the usual mixed bag but, again, Eipix puts a nice spin on most of them. The one major jarring note for me was that the Scots accent of the initial character that you meet —a very sneaky guy, by the way— sounded more like it would feel at home in Ireland than in the Highlands. Oh well, at least the developer tried for some verisimilitude. All in all, a quite enjoyable game and one I'll use a token to get. As always, play the demo and decide for yourself. Rated 3 out of 5 by schuldi from Good but too small Nice story line but I found everything much too small for me. Rated 2 out of 5 by samysam1313 from Not Impressed Based on the Demo. I'm not much into doom and gloom and this game is gloomy. As one reviewer mentioned, it's not intuitive. I had to use the map a lot just to know where to go. Lots of puzzles and I'm not much into those either. I find them mostly annoying. They take patience and to me that's not fun in a game. I like looking for items and using them. I found that a lot of the needed items were in really silly places. Places that didn't makes sense. I know these games are fantasy based but items could be put in more logical places. Phatasmat seems to be popular but it's just not my cup of tea. Why are so many games into the doom and gloom? I wish they would come up with more sci-fi based games.